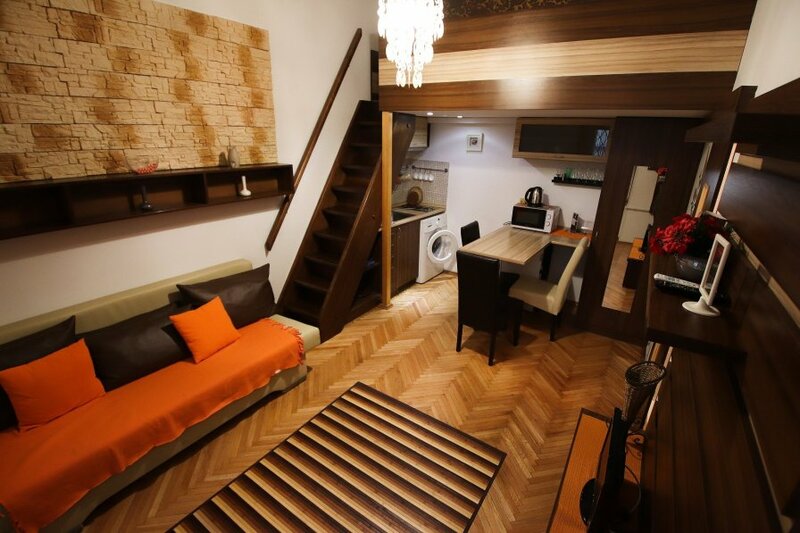 This 1 bedroom apartment is located in Budapest and sleeps 4 people. It has WiFi, parking nearby and air conditioning. Váci Center Romantic Apartment is situated in Budapest.This apartment is equipped with 1 bedroom, a kitchen with fridge, a flat-screen TV, a seating area and a bathroom with a bath or shower. Private parking is available at Váci Center Romantic Apartment. Dohany Street Synagogue is 800 m from Váci Center Romantic Apartment, while Gellért Thermal Baths .The nearest airport is Budapest Ferenc Liszt International Airport.